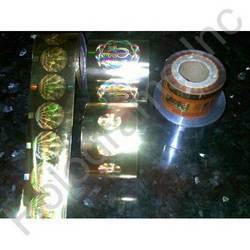 We are a renowned manufacturer and supplier of Holographic Tapes and Strips, which are widely appreciated for their high quality. We offer them in several shapes and sizes as per the requirement of our customers. Our Holographic Tapes and Strips are suitable to be placed on numerous products, ensuring their quality and providing complete safety. Hot Stamping holograms are very commonly used now a days and is an Advanced technology where the Holographic strips are hot stamped on surfaces like Paper, PVC, Plastic, Film etc. This kind of Technology is ideally suitable for applications where the quantities are very very huge and Manual Applications of Holograms is not possible. We can provide customized hot stamping holograms as per the Customers requirement. 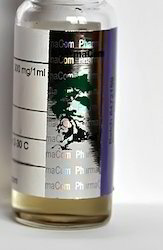 Once the Holographic Image is transferred on the base it cannot be removed. It is like a permanent impression. Looking for Holographic Tapes And Strips ?